La Jolla CA MARCH 22, 2019: Experience a World Class Weekend of Prestigious Automotive Celebrations as a First-Class VIP at the 15th Annual La Jolla Concours d'Elegance Friday, April 12th through Sunday, April 14th, 2019 La Jolla, CA. 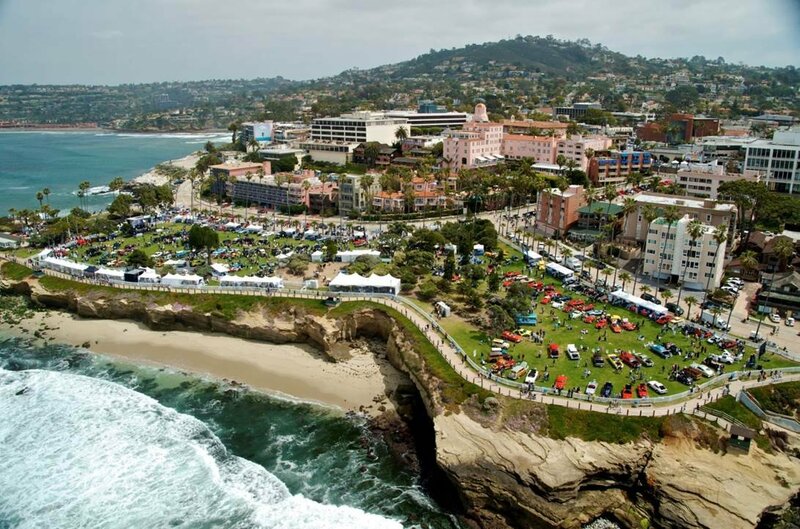 The La Jolla Concours d'Elegance Presented by LPL Financial and Pacific Sotheby's International Realty will be returning to the stunning shores of La Jolla, California. The La Jolla Concours d'Elegance will showcase 150 of the most exquisite automobile displays in the world. Earning the reputation as one of the finest internationally renowned classic automobile showcases in the United States, the La Jolla Concours continues to attract discerning car enthusiasts from around the globe. The La Jolla Concours d'Elegance is a weekend-long event that boasts style, class and grace, in all aspects. 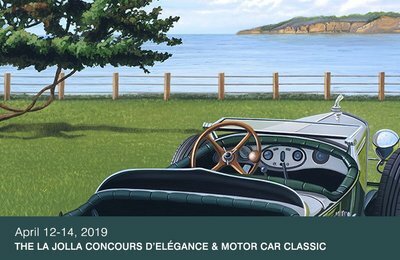 To ensure this experience is exceptional from start to finish, the 2019 La Jolla Concours d'Elegance offers first-class treatment for all of its attendees gathering for this extraordinary event in the La Jolla, the jewel of the West Coast. 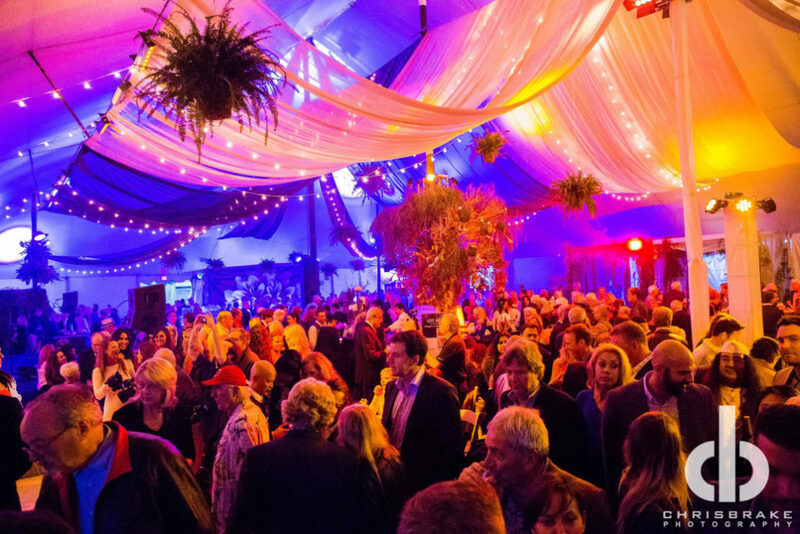 Kick off the World Class Weekend in style at the vibrant "n luxe cocktail party", the Pacific Sotheby's International Realty Concours Social Club Presented by The LOT La Jolla, Ferrari of San Diego and Viejas Casino & Resort on Friday, April 12th, at The LOT La Jolla from 7 pm to 10 pm. Set the trend in your cocktail attire and enjoy a night of contemporary luxe. Sip and socialize on vibrant drinks at the full hosted bar with creative cocktails and scotch tastings the Glenfiddich portfolio 14-year-old reserve. Live entertainment and variety of sensational bites from The LOT La Jolla will be ambrosial at the buzz-worthy cocktail party of the year! Tickets for the Concours Social Club start at $100. Continue the extraordinary festivities with the Saturday Night VIP Spectacular, The Aston Martin San Diego A Night of Steampunk Presented by Fraser, from 5 pm to 9 pm, at Ellen Browning Scripps Park. Clocks will tick and gears will click as we drive into a boundless world of romance and adventure at the premier event of the year. Dance through time and let dreams become reality and imagination drive decision as technology & aesthetic design create a perfect collision of past meets the future. Steam-powered entertainment will ignite the dance floor as you bid on valuable contraptions at the Silent & Live Auction, and enjoy a night of fantastical conundrums. A hosted bar of artistic cocktails from the William Grant Portfolio's expert mixologists and 21 delicacies from San Diego's top restaurants will have your gears in motion and dancing under the moon lit sky all night long. Let the magic of the Pacific Ocean take you away into an unforgettable Night of Steampunk with tickets starting at $200. 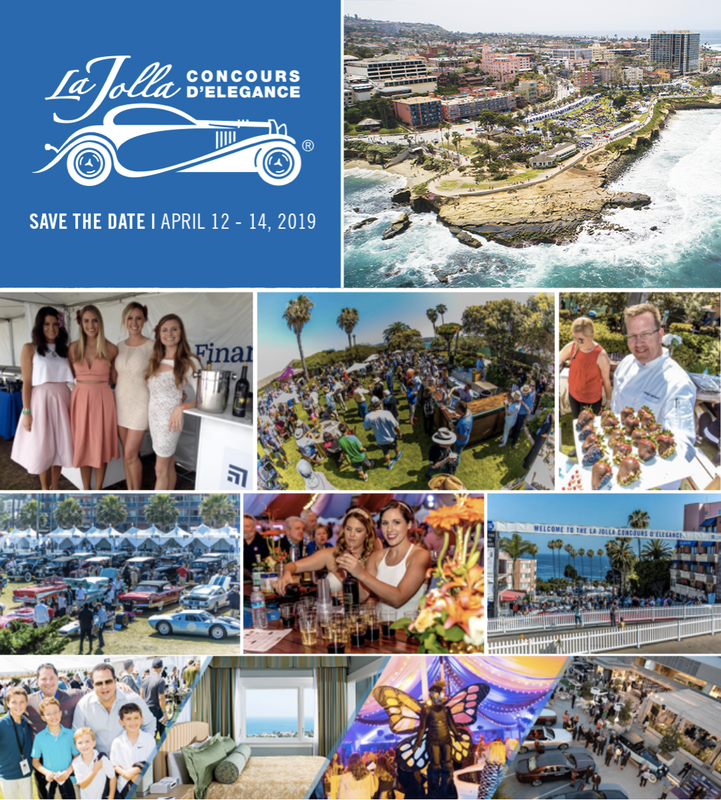 Conclude the weekend with the most extravagant event of all, the 2019 La Jolla Concours d'Elegance Presented by LPL Financial and Pacific Sotheby's International Realty, on Sunday, April 14th, from 9 am to 4 pm. View a Concours collection like no other, with over 150 one-of-a-kind autos displayed along the stunning Pacific bluffs of the La Jolla Cove. Prepare to be amazed from the sea to sky with the vintage air parade presented by Icon Aircraft. Stop by the Bentley La Jolla Champagne and Honey Tasting Garden presented by Fraser and EventWorks, as you toast your complimentary craft French 75 cocktail, chocolate tasting and sample honey flights collected from various regions. Browse sponsor and vendor booths, swing to live music, and take in the surrounding beauty of the timelessly restored vehicles gathered for one of the largest Concours events in the US. General Admission tickets for Sundayâ€™s timeless event start at $65, tickets will be $75 day of event. Upgrade your experience as a VIP, with tickets starting at $170 ($200 day of event), and enjoy all of the bountiful benefits of General Admission in addition to VIP entry, VIP restrooms, a hosted bar in the VIP Lounge, and enjoy fabulous bites from 16 of the most premium restaurants in San Diego. Spend the entire charming weekend of events with only the most elite offerings included in the Ultimate VIP Package, including entry into all of the lavish VIP events; Friday's Pacific Sotheby's International Realty Concours Social Club, Saturday's Aston Martin San Diego A Night of Steampunk and Sunday's VIP La Jolla Concours d'Elegance; starting at $400. This package, with a value of $520, provides you with all of the exclusive first-class benefits made to enhance your elegant experience from beginning to end. The 15th Annual La Jolla Concours d'Elegance Presented by LPL Financial and Pacific Sotheby's International Realty proceeds will go towards La Jolla Historical Society, which preserves the history of the gem known as La Jolla. In addition to the La Jolla Historical Society, the La Jolla Concours d'Elegance benefits several additional local community nonprofit partners each year. For additional information and to purchase tickets, please visit www.lajollaconcours.com.